"Looking for a dance partner? Perhaps you're single? Search our picture and video profiles now. Register free in two minutes and browse. Nationwide." "Canoodle’s online dating service is the fun, safe and confidential way to meet others, have fun, have a relationship, or just to make new friends! Listening to you, and using our own experiences, we've worked hard to give you a singles site which is fun, vibrant, entirely secure, and the best value on the Internet." Undress Me UK - Dating with a human touch! 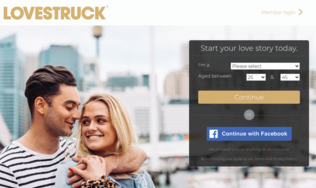 Photo dating site with public / private messaging and 'Guess My Age'. "OldOppos.co.uk is special because it provides a link of friendship between the serving and the retired, the young and old. It’s not a contact website for old comrades, not a reunion website for old comrades, not an association of old comrades. It is not any of these things; it is all of them and more. 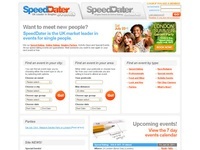 Online dating since 1999 for UK Singles. Dating service for single professionals in London, offering contact via an online system or via a mobile device. While the site is fully available for free members, they also offer an 'elite' membership which provides additional benefits to paying members.